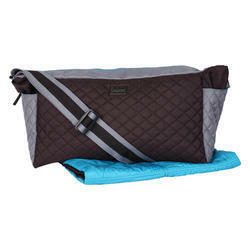 Uses:- Diaper bag is used when we want to discharge the material at once. Diaper bag mainly used where we want to transport the high density material from one place to another and we want to unload the complete material at once. Diper bag in floral printed canvas. PU trimming and handles. This bag is with changing pad and wet bag. Also has out side open pockets to keep your baby's belongings. We offer a range of Kids Diaper Bags, which are manufactured by our professionals using superior quality raw material for higher durability and dependable performance. 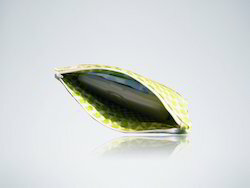 Due to their exquisite designs, these bags have gained great amount of demand in the market. Easy to wash and maintain, the offered bags are available in different designs and colors. We are offering Kids Diaper Bags. We are well-known names in the market engaged in offering a broad collection of Kids Bag. The provided bags are fabricated by utilizing best-quality grade raw material and modern stitching technology under the direction of competent and veteran professionals. These bags can be availed at industry leading prices. We are the remarkable entity, engaged in offering a superior range of Designer Diaper Bag to our valued clients. These products are designed at sophisticated infrastructure facility. High-Quality Water Resistant Material: Made of Strong Oxford Fabric with its reinforced shoulder straps will guarantee for long-term use.